Australian Power & Gas Company Limited (ASX:APK), Australia&apos;s leading independent energy retailer, today announced that it has entered into an agreement with global payments company, PayPal. The agreement will enable Australian Power & Gas&apos; 340,000-plus customer accounts to pay bills online using PayPal and reduce Australian Power & Gas&apos; transaction costs to process payments. 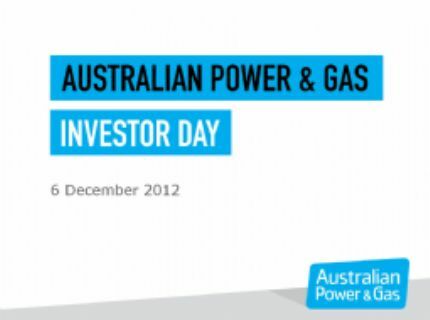 Australian Power And Gas Company Limited (ASX:APK) are pleased to provide the Investor Day Presentation, for the 6th December 2012. 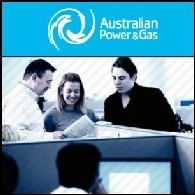 Australian Power and Gas Company Limited (ASX:APK) is pleased to announce the appointment of Ms Joanne Shatrov as Company Secretary effective 20 November 2012. Ms Shatrov will act as joint company secretary with Mr David Franks. Australian Power And Gas Company Limited (ASX:APK) are pleased to provide the Managing Director&apos;s Address to Annual General Meeting. 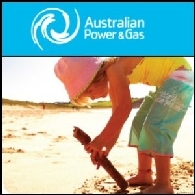 Australian Power & Gas Company Limited (ASX:APK), Australia&apos;s leading independent energy retailer, today announced record quarterly cash receipts from customers in the three months to 30 September 2012 (1Q13). Cash receipts increased by 46% to $133.6 million, compared with $90.9 million in the previous corresponding period and $88.5 million in the June 2012 quarter. 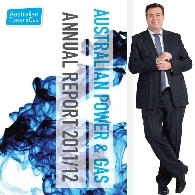 Australian Power And Gas Company Limited (ASX:APK) are pleased to provide the Company&apos;s 2012 Annual Report to shareholders. Australian Power And Gas Company Limited (ASX:APK) are pleased to provide the Chairman&apos;s Letter for Annual Reporting Pack to Shareholders. 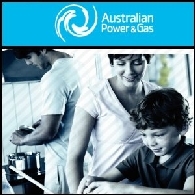 Australian Power & Gas Company Limited (ASX:APK), Australia&apos;s leading independent energy retailer, today announced strong revenue, earnings, cash flow and customer growth for the 12 months ended 30 June 2012 (FY12). 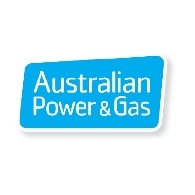 Australian Power & Gas Company Limited (ASX:APK), Australia&apos;s leading independent energy retailer, today announced it has signed an $85 million facilities agreement with Macquarie Bank Limited. The agreement will provide headroom for further growth in the company&apos;s retail business and enable expansion into new markets. It will also increase the company&apos;s wholesale energy hedging flexibility and reduce wholesale energy costs. 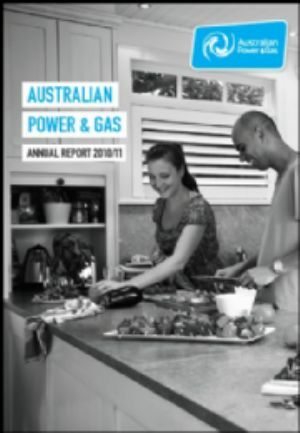 Australian Power & Gas Company Limited (ASX:APK), the leading independent energy retailer, today announced that its cash receipts from customers in the year to 30 June 2012 increased by 41.5% to $340.9 million, compared with $199.6 million in FY 2011. Net underlying operating cash flow for the year was $23.4 million, compared with $1.8 million for FY 2011.